Katrina Sillaman as the Witch and Carol Anne Drescher as Rapunzel. Photo by provided by Catherine Nix Thomas. Annapolis Summer Garden Theatre transports the audience Into the Woods at their outdoor venue that decorates the downtown Annapolis City Dock. Their production of Into the Woods is exceptional with a cast of that boasts a broad-range of singing voices, a beautifully designed set, and dazzling costumes that clearly defines who’s who in this ensemble extravaganza. Into the Woods is the coupling and intertwining of childhood fairy tales with many turns and plot twists. The show begins with the Baker played by Scott Gaines and the Baker’s wife played by Melinda Markland, discover they have been cursed by their neighbor, a crusty old Witch who dresses in gray, is a complete hag, and has incredibly scraggly hair. This production of ‘Into the Woods,’ from the opening number to the finale, is pure entertainment. Gaines illustrates that the Baker is a hard-working average Joe who is riddled with insecurities especially about fatherhood. Markland as the Baker’s wife is quite the opposite and full of determination to have a baby. Though independent and callous toward her husband, she can be quite the romantic. Gaines and Markland express an undeniably frustrating like/loath relationship as they journey into the woods to collect the items that will break their childless curse. Markland’s costume consists of a long plaid skirt, a white ruffled blouse, and a cinched mustard-colored vest while her husband dons brown trousers and a tweed jacket indicating they are of the working class. Katrina Ellen Sillaman is wickedly fun as the old haggard Witch, who also struggles with trying to be a good parent. Mother of Rapunzel, she locked up her daughter in the high tower to protect her but the result of her actions is far from what she had anticipated. As the younger, red-headed version of herself, Sillaman is exquisite and definitely a character that audiences will love to hate. She is as sassy as her green and copper satin saloon-like costume. Additionally, this gal’s voice is absolutely stunning. 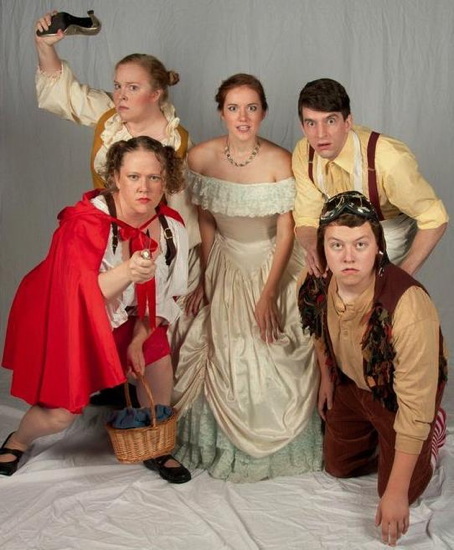 Lauren Winther-Hansen as Little Red Riding Hood, Malinda Markland as the Baker’s Wife, Sarah Treanor as Cinderella, Scott Gaines as the Baker and Harrison Smith as Jack. Jack in the Beanstalk’s mother is yet another woman in this show that is full of fight. Played by Cristine Shunk, she is a single mother working hard to make a good life for her hapless son. A long skirt and blouse with her hair held up in a snood, is somewhat indicative of Little House on the Prairie garb and also that of the working class. Harrison Smith is a hilarious goof-ball as the impulsive Jack. Smith brings a certain naivety to this character that is slow to grow-up. His browns shorts, vest, and pilot’s cap enhance the little boy in him. Lauren Winther-Hansen plays this Little Red Ridinghood as spoiled but also makes this a fun character. “Red” definitely seeks approval over love yet her best moment is when she willingly gives the cape over the Baker. Her skirt is blood red, her ruffled blouse is white, and she proudly wears the wolf cape. Sarah Treanor as Cinderella is demur and dazzling in this role. The peasant Cinderella is humble while the Princess Cinderella stands up to her cheating husband. As in many versions of Cinderella, her peasant clothes are dark and dank yet her princess gown is made of baby blue and white satin. Treanor is beautiful in both. Alex Xourias is indeed charming as Cinderella’s Prince. He plays the prince’s vanity to the hilt especially when he seduces the Baker’s wife and it works. He is a suave and slick fellow dressed in white pants, black boots, and blue and gold jacket. Anastasia Sophia Herne as Cinderella’s mother is a nurturing spirit whereas Mackenzie Blade as Granny is high spirited in a bitter and nasty way. As Little Red Ridinghood’s feisty grandmother, she adds a layer to the comic element of this production. Blade also lends her voice as the Giant. Carol Anne Drescher plays a naïve Rapunzel who does not have the best relationship with her Witch mother. Because of her captivity, Rapunzel is innocent of worldly matters and meanders through life. As a mother of twins she proclaims she’ll never be happy. Like Cinderella, her princess dress is spectacular and quite the opposite of her whininess. Kelston Thomas doubles as Rapunzel’s Prince and Mr. Wolf, and in both roles he is hot, hot, hot. But he is equally vain as his older brother – Cinderella’s prince. There is a definite competition between these two brothers yet Thomas brings a certain foolishness to this character that makes him quite likable. Erika Knepp as Cinderella’s Step-mother, Mayumi Baker Griffie as Step-sister Florinda, and Amy Harrison as Step-sister Lucinda, work very well together as the comic relief. In their shiny and fanciful attire, they trip and tumble around the stage and over each other. Ian Andrews takes on three roles as Steward, Milky White (cow), and the Woodsman. As the Steward he is practical and full of self-importance and delivers in a surly manner. Steve Karig as the Mystery Man is just that, a mystery. He’s the absentee father of the Baker but his heavily hairy costume creates an air of disconnect on stage and for the audience. Karig plays this character with regret and adds to the underlying theme of parent/child relationships. Rounding out the cast is young carrot-top Andrew Sharpe as the Narrator. His presence on stage is sweet as he leads the audience through the storyline. The set was ingeniously designed with its layer of trees upstage to downstage offering ample entrance and exits for the performers. Cleverly, one of the tree set pieces doubles as Rapunzel’s tower. The lighting accentuates the set, clearly indicated time and place. The costumes display an obvious indication as to who is who and their class level. This production of Into the Woods, from the opening number to the finale, is pure entertainment. The intermingling of the fairy tales puts a spin on the stories one heard as a child. 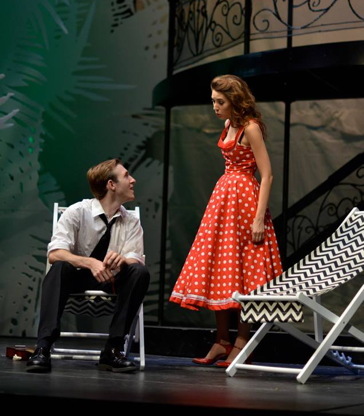 With such universal themes as bullying, family relationships, and community connection, Annapolis Summer Garden Theatre and cast delivers with enthusiasm and enjoyment. Into the Woods is a musical production with music and lyrics by Stephen Sondheim and book by James Lapine. 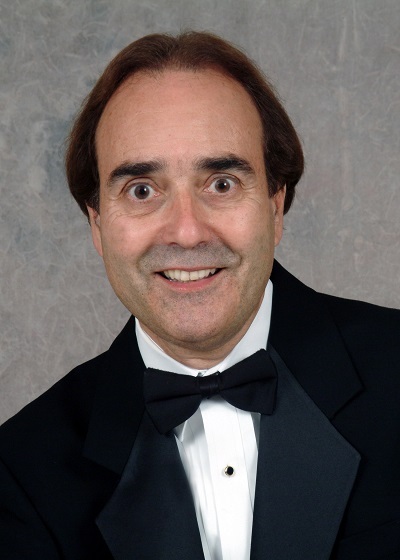 Annapolis Summer Garden Theater’s production is directed and choreographed by Darnell Morris and music direction comes from Trent Goldsmith. Running Time: Approximately two and a half-hours plus one 15-minute intermission. Into the Woods is running through September 1, 2013 at Annapolis Summer Garden Theatre, 143 Compromise Street, Annapolis, MD | 21401. For tickets call 410-268-9212.